Voters made it plain Sunday that politicians should be concentrating on improving Okinawa’s ailing economy instead of worrying about where a controversial American military base should be relocated. 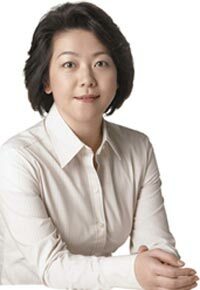 Aiko Shimajiri, who campaigned on a theme of “change politics from the kitchen, promised to beef up the prefecture’s economy and improve the standards of living, easily won her Upper House race against an anti-bases activist. “Voters understood my message, which focused on lifestyle issues and making Okinawa an easier place to live,” she told reporters Sunday night as election results poured in. Challenger Yoshimasa Karimata, whose support came from the principal opposition parties, had lobbied against Futenma Marine Corps Air Station remaining in Okinawa. While Shimajiri endorsed the plan to move Futenma from Ginowan City to a more remote northern Okinawa location off the Henoko coast, Karimata had arged the base should be moved to Hawaii or Guam. The Shimajiri win was a victory for Prime Minister Shinzo Abe, who wanted Okinawa’s seat in his ruling Liberal Democractic Party pocket as the summer elections approach. Abe had campaigned twice in Okinawa for Shimajiri as he moved to bolster the LDP position, wanting pro-party momentum as the July election campaigns begin. With Okinawa on his side, Abe needs 64 seats to keep control of the chamber. Many view his ability to garner support for those seats as the key to his own political future. The 42-year-old Shimajiri, a former Naha City Assembly member, drew voters with Abe’s pledge to make Okinawa a major Asian gateway with more direct flights to regional countries. Abe promised Shimajiri he’d support expanding Naha International Airport. She is an independent who had backing from both the Liberal Democratic Party and New Komeito. The Futenma issue has been contentious, with even supporters of moving the base from heavily populated Ginowan to a site on Camp Schwab in the far northeast. The May 2006 agreement by the U.S. and Japan to move the Marine Corps base ties the Futenma closing to shifting 8,000 Marines and their families from Okinawa to Guam. In the other by-election, Teruhiko Mashiko, 59, kept her opposition Democratic Party of Japan in control of Fukushima. Across Japan, mayoral elections were held in 77 cities, 96 towns and villages, and in 13 Tokyo wards. Ginowan City’s Socialist mayor Youichi Iha won reelection here, defeating Shingi Hokama. Hokama had been supported by the major ruling parties.